Exciting news…our musical director, Peter Edwards has been commissioned by BFI Southbank to create a new original score for the 1925 ‘race film’, Body And Soul – a seminal film in the history of Black cinema in which the great African-American singer, actor and civil rights activist, Paul Robeson made his motion picture debut. This is the second film for which Peter has worked on a live score in recent months (see The Stuart Hall Project) . 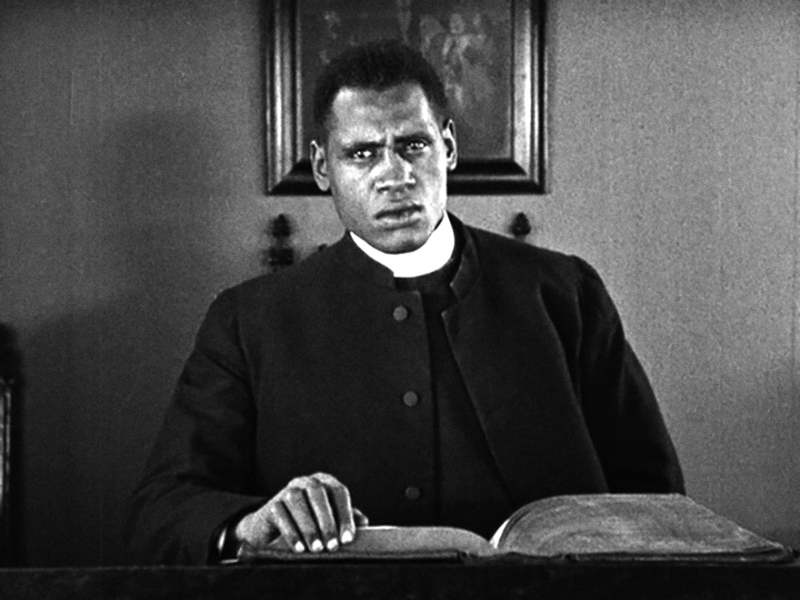 Written and directed by Oscar Micheaux – the most successful African-American filmmaker of his time, and foremost producer of race films – Body And Soul was presented at the New York Film Festival in 2000 with a new musical score composed by the trombonist, Wycliffe Gordon and performed live by Lincoln Center Jazz Orchestra. Peter will be taking ‘a very different approach’ from Wycliffe, and will be working with our smaller Nu Civilisation Orchestra Ensemble. Different how? Well, there’s only one way to find out! Book tickets to see the film! Body And Soul is being screened as part of the Black Star Season of films at BFI Southbank at 7.00pm on Monday 5 December 2016 and tickets are on sale now! Friends of the Nu Civilisation Orchestra and Tomorrow’s Warriors can get tickets for just £5.00 by quoting the discount code SOUL on the left side of the ticket booking screen on the BFI Southbank website. Recording: ‘A Journey with the Giants of Jazz’ now available!